Forbes magazine recently made a list of the 50 most visited tourist destinations in the world. The list is incredibly surprising so we thought it would be worth sharing with you. The sites you’d expect to be the most visited are in fact not which is incredibly surprising – in fact most of the top ten are all in the USA making it very odd indeed as apparently Americans travel a lot but only within their own borders. The list doesn’t include holy sites which don’t quite qualify as tourist destinations – otherwise Mecca would be number one with umpteen million visitors a year. Oddly this list doesn’t include many of the most famous world sites and this is mainly testament to the travelling demographics that exist worldwide. Personally we’d like to visit all of these and if you’d like to do the same grab yourself some annual travel insurance an around the world ticket and get going – what’s stopping you? 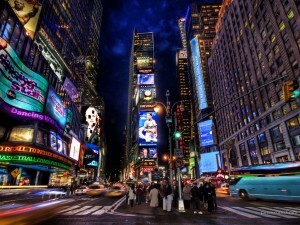 Times square is the most visited tourist destination in the world with a staggering 44 million visitors each year. The neon crossroads at the centre are incredible and Broadway offers a huge cacophony of entertainments – personally we think there are better places to go but we can still see the appeal. You’d expect the nation’s capital to hit the top spot and considering the monuments on offer here – George Washington, Lincoln Jefferson and many more you’d think it would be more of a draw. With 25 million visitors a year though this isn’t even close to having the top spot. 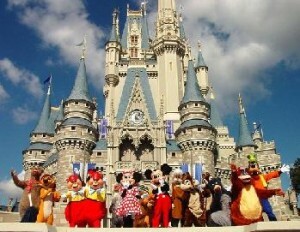 With 16.6 million tourists a year Disney world takes third position. This really does show the incredible global phenomena of the Disney brand and its incredible popularity. With its great mix of theme park, kids paradise and hotels this is a great place to go for any age. The UK’s only entry and a surprising one at that. You’d think Buckingham palace or one of Big Ben would be higher in the list but with 15 million visitors a year Trafalgar square wins hands down. Considering the monument commemorates the 1805 battle of Trafalgar you wouldn’t think it would be such a huge draw. The 1955 Disney park incarnation is another surprising entry with just under 15 million visitors a year. Though much smaller than Florida the park nevertheless attracts a wealth of American tourists and has some fantastic rides so is still well worth a visit. Now this one we can honestly understand. The Niagara falls are just breath takingly impressive. The most powerful waterfalls in North America they are a firm favourite of travellers and honeymooners the world over and see a respectable 14 million visitors a year. Fisherman’s Wharf is of course popular for the bridge which we won’t deny is spectacular. 14.6 million visitors flock to the golden gate bridge each year and the wharf and bridge are an incredible testament to man’s power over nature. Yes its yet another outing from Disney and the first Disneyland resort to open outside of the US. The Disney culture has a strange attraction for the Japanese and the resort is one of the best with 12.9 million visitors a year. The neighbouring DisneySea is better than a lot of the Disney traditional charm making this our personal favourite. 12 million tourists a year visit Notre Dame and it is possibly the most beautiful cathedral in the world. The stained glass windows are unrivalled anywhere except possibly Chatreux which sits peacefully 50 miles or so outside Paris. The stunning example of Gothic architecture sees 12 million visitors a year. With 10 million visitors a year Disneyland Paris takes last place. It is France’s second most visited tourist attraction and the only really popular Disney resort in Europe.